The extensive Medical Keynote Template provides slides with charts, infographics, graphs, tables, and layouts designed for presenting healthcare related topics. Professionalism is important in the medical field. Whether you’re presenting your own research or a new implementation process for a treatment, The Medical Keynote Template allows you to clearly present your ideas. Share your knowledge to create an impact on others’ health. 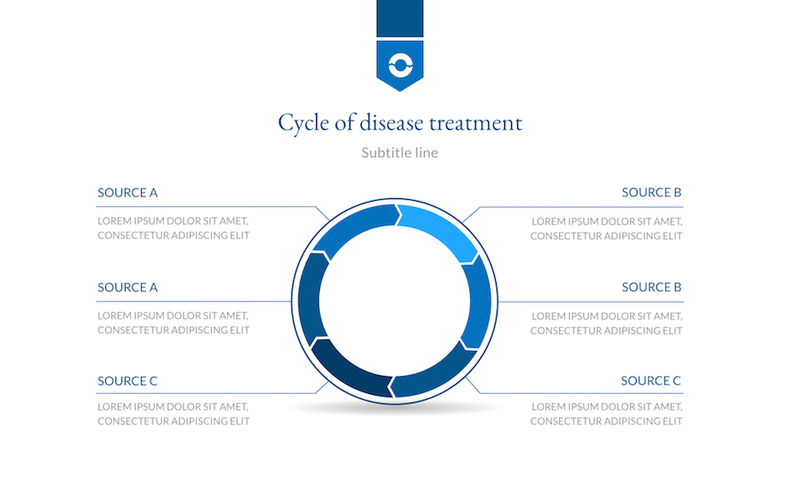 With 47 fully editable slides available in 3 color schemes, the Medical Keynote Template features slides designed for presenting healthcare related topics. 16 vector healthcare and medical icons are also included for your use. Slides feature charts, infographics, graphs, and tables to effectively present all types of content to your audience. What's included in Medical Keynote Template?